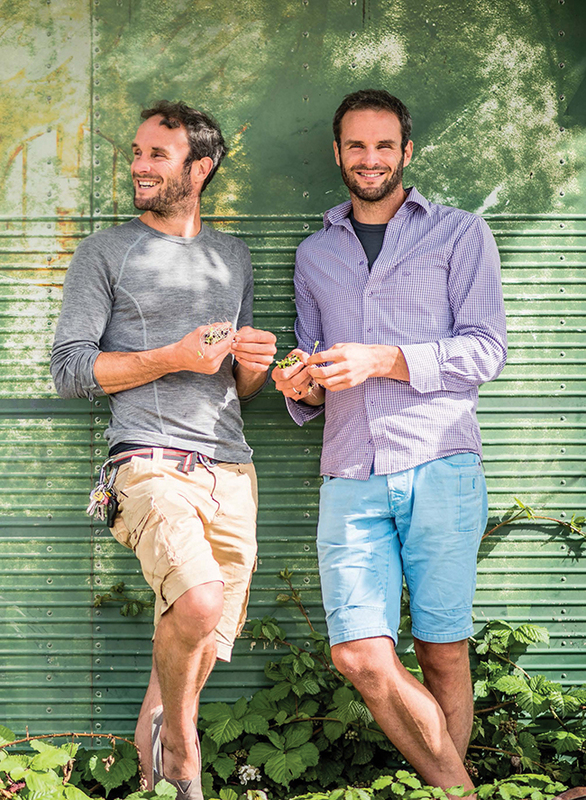 Vegan twins David and Stephen Flynn share their passion for life on the veg. With three best-selling cookbooks under their belt, two cafés, a huge online following and anew range in Waitrose, Irish twins David and Stephen have certainly been busy over the past ten years. Their unique blend of infectious enthusiasm, a down-to-earth attitude to veganism and a whole lot of hard work has helped make them a household name. We caught up with the boys to find out about their route to vegan stardom. Back in 2001 we were questioning life and happiness, and were on one of those journeys of self-discovery. We had signed up to do a marathon, but we had done no training because we were travelling around Europe at the time – eating poorly and drinking! When we got back home, with about a month to go until the marathon, we decided to do a detox. After that, we went off travelling again and became vegan. We also tried other diets like raw food, but a plant-based/vegan diet works best for us and we’ve been eating that way now for 17 years. How has your business grown from your first veg shop to international success? 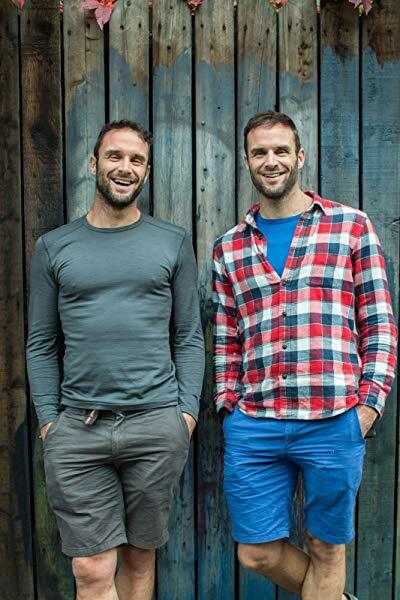 Many people believe that it has been an overnight success, but The Happy Pear has been in business for 14 years. It’s grown from us with a little veg shop and a red van and a big dream of creating a happier and healthier world! Then we opened a café; started a sprout farm, growing micro-greens and living sprouts; then we started to make a range of products which we sold at first at The Happy Pear, and now they are in around 1,000 shops in Ireland as well as in Waitrose & Partners stores in the UK. It’s been quite the journey and we’re very fortunate to still be loving it! We work together every day and our work is extremely diverse! Normally we’ll start at 5.45am at the shop in Greystones and we’ll do some training [exercise] for around an hour. Then we’ll go and swim in the sea at sunrise and then we take our kids to school! We’re currently working on a new online course called the Happy Gut Course to help people with their digestion. We’ve partnered with a gastroenterologist and a dietitian on this course, which is 100% plant-based, and it’s to help people with digestive issues including IBS, IBD, Crohn’s disease, diverticulitis. What are your go-to quick and easy weekday dishes? I’ve [Steve] just made a buckwheat noodle with teriyaki oyster mushroom dish and that was fab! A Pad Thai using whole wheat noodles is a staple – it’s very simple and tasty. At this time of year, a warming cashew and chestnut wellington is a lovely dinner – we have a YouTube video for this one and you can make a couple of them in advance and then bake one off in the oven for a delicious weekday dinner. A warming dahl is also a go-to favourite of ours, especially when it’s cold – we have it at least once a week! Have your families now gone vegan? Yes. When we first came back to Ireland as vegans our mum was very offended by our food choices – she felt rejected. However, now she and dad eat a mostly vegan/plant-based diet too and have done for almost 10 years! Our younger brother Darragh eats a vegan diet and our brother Mark, who is a DJ and travels the world, is mostly vegan. I guess because we’re so passionate about it and because we feel so healthy eating this way, it does tend to rub off on people! Do you ever encounter negativity? Absolutely – the very nature of life is duality and what goes up most come down. Also, being in the public eye means some people like you and others don’t. We’ve learned to be less sensitive about it and to focus more on what we’re passionate about. What does the future hold for The Happy Pear? We hope to continue to grow, mainly through our products (we have expanded our range to over 30 products now). Additionally, our online community has grown to almost one million, we have another number one bestselling cookbook, and we’re planning to offer more online courses and events in 2019 to help people live happier and healthier lives.